In this article we detail all you need to know about the Ladbrokes sportsbook mobile betting app including key features, compatibility and available deposit methods as well as a step-by-step guide on how to download the Ladbrokes application on both Android and iPhone. When you are dealing with a bookmaker of Ladbrokes’ reputation, you expect only the best in every regard – and that is exactly what you get with the Ladbrokes mobile app. The Ladbrokes mobile app is available to download on both Android for users with operating system 4.0.3 and up and iPhone for users with iOS 7.1 and up. In line with company’s famous red and white branding, the app is one of the most aesthetically pleasing on the market. It features a slick, responsive and very user-friendly interface, allowing you to enjoy the full Ladbrokes betting experience, no matter where you are. The Labdrokes app is one of very few without a side-menu. Instead, you can access almost anything from the bottom footer, including a full list of sports, In-Play, Promotions, My Bets, Watch Live and Gaming which gives you access to the Ladbrokes Casino. 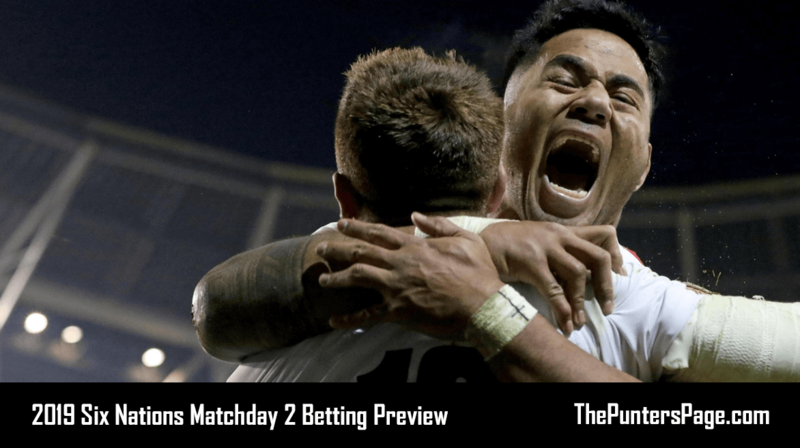 Bet on an unbeatable range of sports, quickly and easily explore thousands of pre-event and In-Play markets, view live scores and check the current status of your bets all from your mobile device. 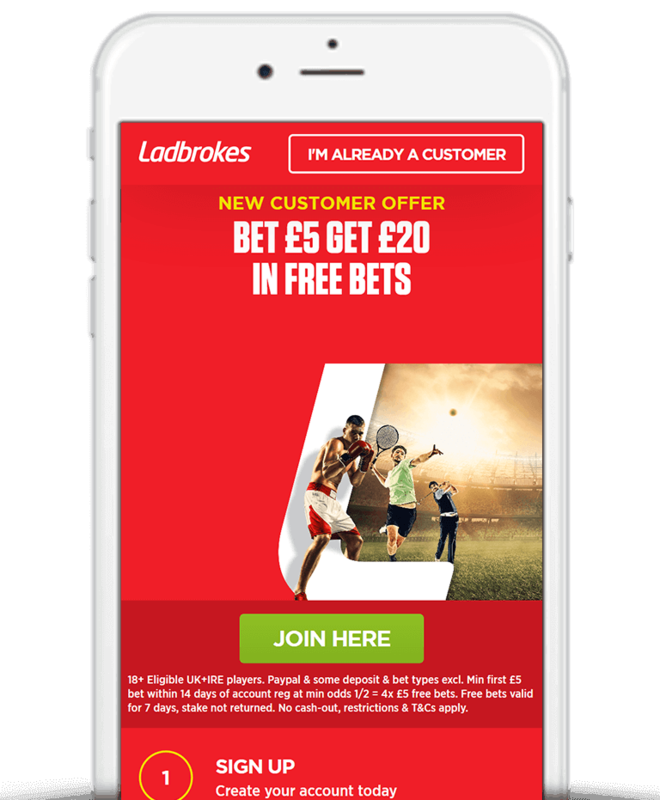 New customers downloading the app can take advantage of Ladbrokes’ Bet £5 Get 20 free bet sign up offer when using Ladbrokes promo code ‘20FREE’. Just place a bet of £5 and at odds of 1/2 or greater and Ladbrokes will instantly credit your account with £20 in free bets. Track – All your live bets placed online as well as In-Shop bets by scanning your betslip. Live Streaming – Around the clock streaming of top events across a range of sports. 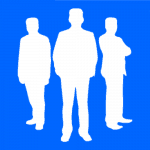 #GetAPrice – Combine markets to create your own unique bet and request the odds. Odds Boost – The opportunity to instantly boost your odds on any pre-event sports bet – every day. Edit My Acca – Remove selections from your accumulator after you have placed your bet. Acca Insurance – Money back on Match Result 5-folds+ if one team lets you down. Racing Post Stats – Detailed runner information plus PostData, TopSpeed and Spotlight tips for every UK & Ireland race. Best Odds Guaranteed – Enhanced prices on your horse racing bets. Money Back 2nd – Money back if your horse finishes second in any race televised live on ITV, ITV3 or ITV4. Cash Out – Settle bets and secure profits or minimise losses before an event has finished. The table below displays the software requirements in order for you to be able to download the Ladbrokes Android and iPhone app. The table below features deposit methods that are currently available via both Ladbrokes mobile Android and iPhone apps. For a full list you can visit the Ladbrokes website. Search ‘Ladbrokes’ on the Google Play store. Search ‘Ladbrokes’ on the App Store. The Ladbrokes mobile sportsbook app has been available to download for over three years now. During that time, it’s generated a sufficient amount of reviews on both the Google Play Store and Apple App Store for us to get a sound idea of what regular users think. At the time of our review, the Ladbrokes Android app has achieved an average rating of a very credible 4.2 stars on the Google Play Store whilst the Ladbrokes iPhone app has achieved an average rating of 3.7 stars. The majority of positive reviews across both platforms cited that the app was user friendly and responsive. On the other hand, the overwhelming majority of critical reviews were by users having issues with free bets and bonuses. The Ladbrokes app is available to download directly from the Google Play store for Android users and the App Store for iPhone users and provides one of the best mobile betting experiences available. Ladbrokes’ claim of ‘using the latest technology to ensure high performance, speed and reliability’ is validated with a super smooth interface that makes navigating the app effortless. If you’re looking for a fast and reliable betting app, top end promotions, huge range of markets, Cash Out, Live Streaming and more all from the palm of your hand then we fully recommend downloading the Ladbrokes mobile app.